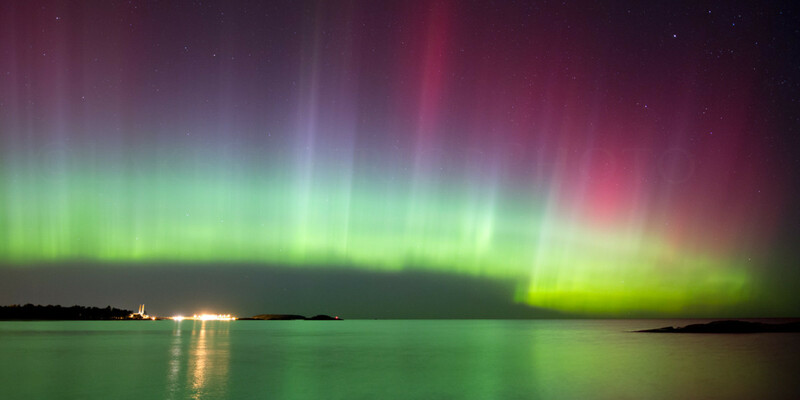 Stargazers may be in for a rare cosmic light show this week as the northern lights dance across the night sky. Tuesday night will bring another chance for people in Canada and the northern United States to see the northern lights as an influx of charges particles from the sun interacts with the earth's atmosphere. 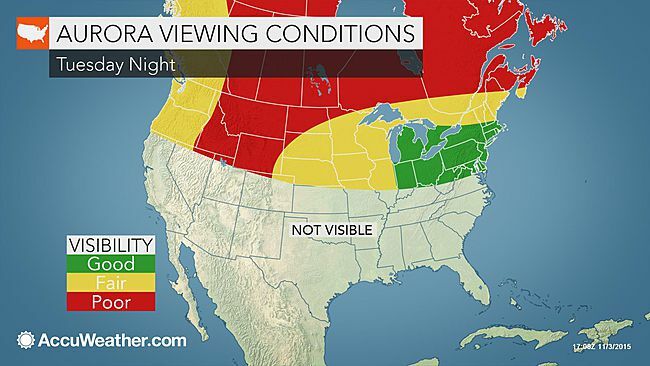 People from New Hampshire to Nebraska will have the best conditions for viewing the aurora, with mainly clear skies expected. Unfortunately, clouds may turn out to be too thick for people to see the aurora across most of the Pacific Northwest, northern Rockies and northern Plains. The same can be said for a majority of Canada as clouds blanket large swaths of the sky. Southern Ontario will be the exception to this as skies remain relatively clear through Tuesday night. The first half of Tuesday night will be the best time to view the aurora before the aurora activity starts to decrease. If you're in an area where the clouds are not obstructing your view of the night sky, you may still have to do more than stepping into your back yard to see the aurora. Being in a dark area with a clear view of the northern horizon is key to seeing the aurora. If you are trying to catch a glimpse of the aurora, you should travel to a spot that is far away from the light pollution given off by cities and towns. Being in a dark area is also important if you are trying to capture a picture of the northern lights. For the best results, you should use a camera that allows to you take pictures with an exposure of 10 to 30 seconds. Even if you do not end up seeing the aurora, you may still catch sight of another cosmic event. The Taurids meteor shower is an ongoing meteor shower that will last into the middle of November, producing roughly 5 to 10 meteors per hour. The Taurids are known for producing bright fireballs as they burn up in the earth's atmosphere, lasting for several seconds. On some occasions, these meteors can shine brighter than the planet Venus, the third brightest object in the sky. "The gradual peak of the shower is now through Nov. 12, with a possible absolute peak on the night of Nov. 11," AccuWeather Meteorologist Dave Samuhel. For more information on astronomical events, follow the AccuWeather Astronomy Facebook page.